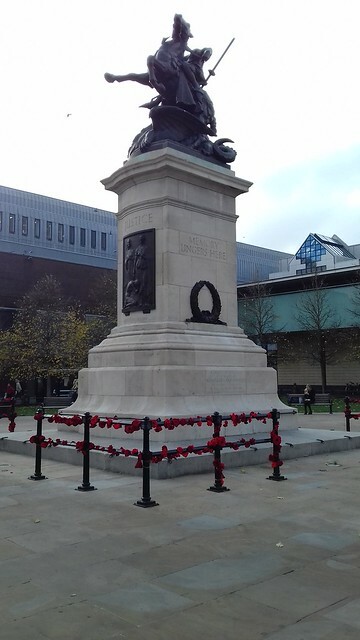 Members of the public have been busy knitting woollen poppies to commemorate the centenary of Armistice Day which saw an end to the First World War on the 11th of November 1918. Newcastle City Council have been asking volunteers to knit these to produce a blanket of poppies in Old Eldon Square, and decorate the railings around the Cenotaph. The idea was inspired by Wendy Parker who oversaw the blanketing of Heaton Cemetery gates in November 2017.